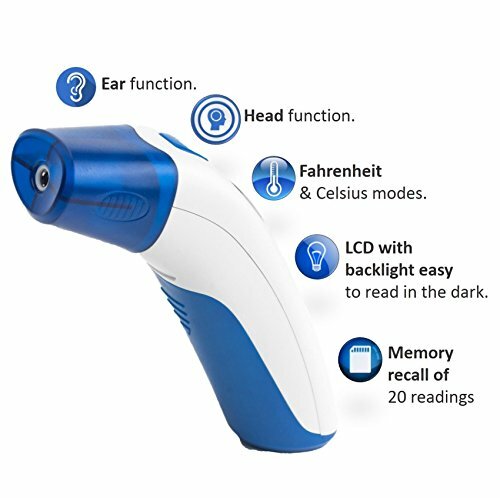 The advantage of Dual mode infrared thermometer. 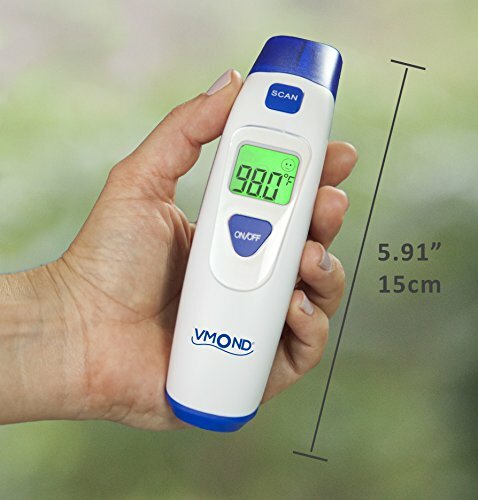 When the reading exceeds 37.5°C/99.5°F, this products shall warn the user that he/she may have a fever by 10 rapid and short rings with RED LCD flicker. 2. 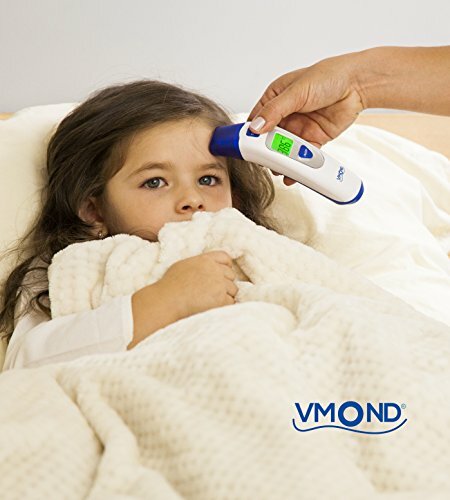 Hold scan button for 3 seconds until de ˚C or ˚F symbol appears. 3. 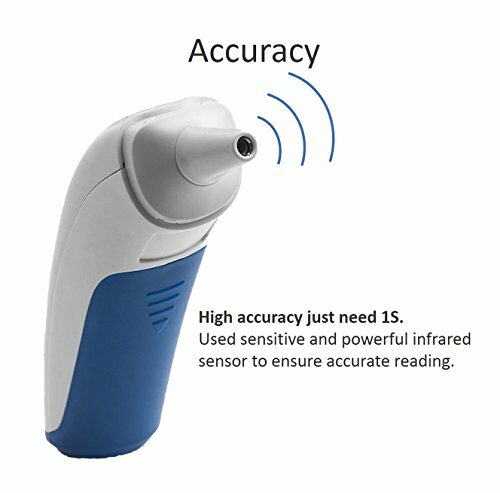 Press scan button again to shift ˚C/˚F. 4. Press on/mode to save. 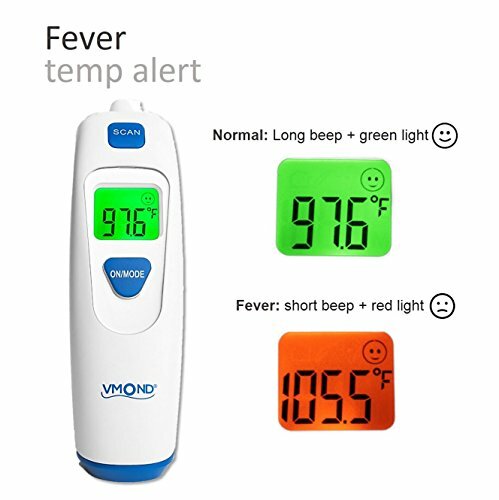 FEVER WARNING: When the reading exceeds 37.5°C/99.5°F, this products shall warn the user that he/she may have a fever by 10 rapid and short rings with RED LCD flicker. TEMPERATURE MODE: You can choose for Fahrenheit and Celsius. 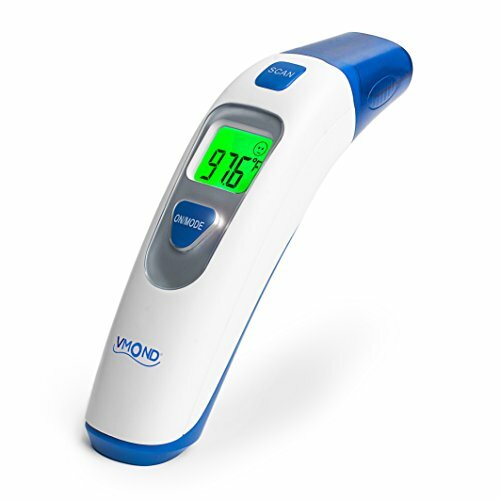 CLINICALLY CALIBRATED: For medical use. 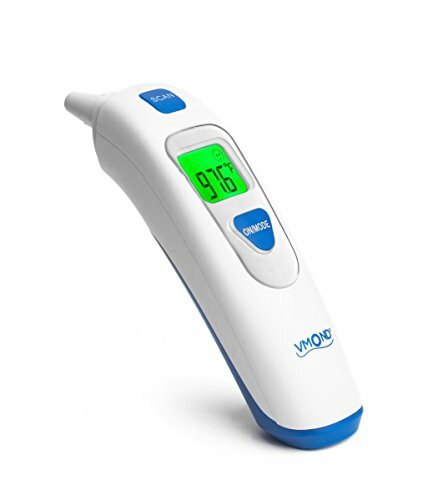 Delivers temperature readings with Unfailing Accuracy and very fast. 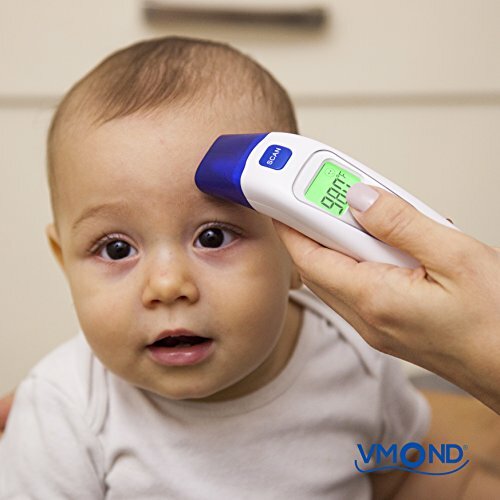 BETTER DESIGN: Its ear and forehead functions make it a versatile thermometer that can help you out in many situations.